It is not going to stop working any time soon – Based on the way search engines appear to be developing, it is not likely that SEO will cease to be effective any time in the foreseeable future. On some level, even audio and video searches ultimately depend on keywords the same as traditional text-based content; this link ensures the continued success of SEO techniques as long as it exists. Your competitors are doing it – “Remember, SEO is a never-ending process,” says Jason Bayless, Owner of BestSeoCompanies.com, a website which tracks and ranks the efficacy and service of many of the nation’s leading SEO providers. “If you’re not moving forward and improving your position, you’re losing ground to a competitor who is. That’s a simple fact of how the process works.” Don’t let your competitors out maneuver you by ignoring this valuable tool for your business. Our report will include your website’s score, important metrics and detailed information. 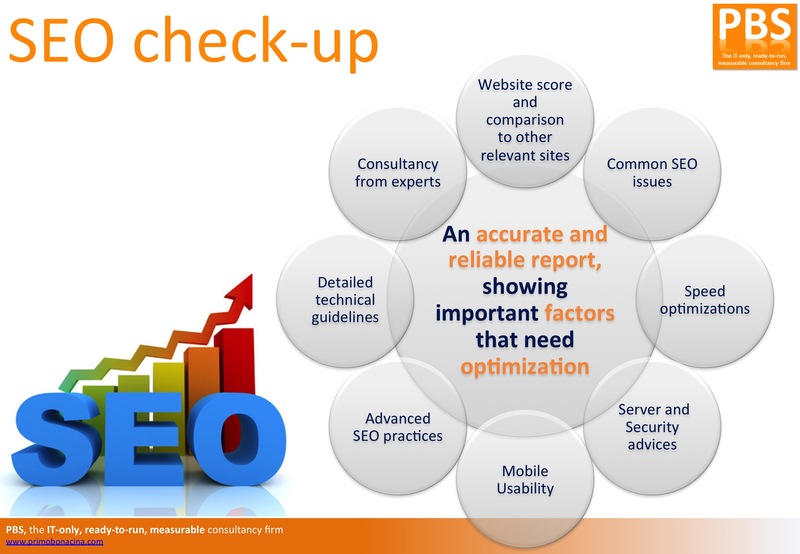 The report also offers useful guidelines and lets you know where your website fails and how to optimize it, so you won’t stay off search engines. Take your time, analyze it, follow our guidelines and your online presence will be improved!